On the front steps was a FedEx package, thin and rigid. The return address was not immediately familiar. Who is this from? Savoring the mystery, I opened the package slowly and carefully. An envelope stamped with my name was inside, friendly and inviting. Written with an old typewriter, a woman named Susan explained in her letter how she came across a correspondence exchange between our mothers, written in the 1950’s. And what a treasure trove of history. A story of supportive, strong women sharing their life journeys. Living abroad in Italy. What dresses should they take in their steamer trunks? The excitement and challenges of becoming new brides, ordering pink kitchens, cooking mishaps, and transitioning into motherhood. Keeping house and keeping up appearances. What insight into a different era! And what a special gift, these gorgeous letters with Mama’s handwriting, capturing her thoughts as a young woman. I cringe when I hear they may no longer teach handwriting in schools. 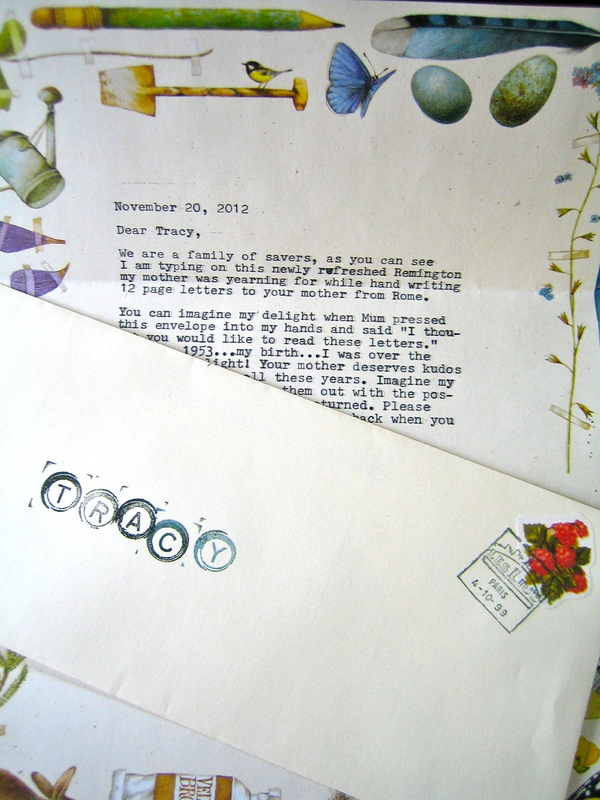 As a lover of letters, stamps, paper, and pen, it saddens me to think of letters like these becoming an art of the past. Call me old-fashioned, but re-reading emails just doesn’t have the same effect, does it? 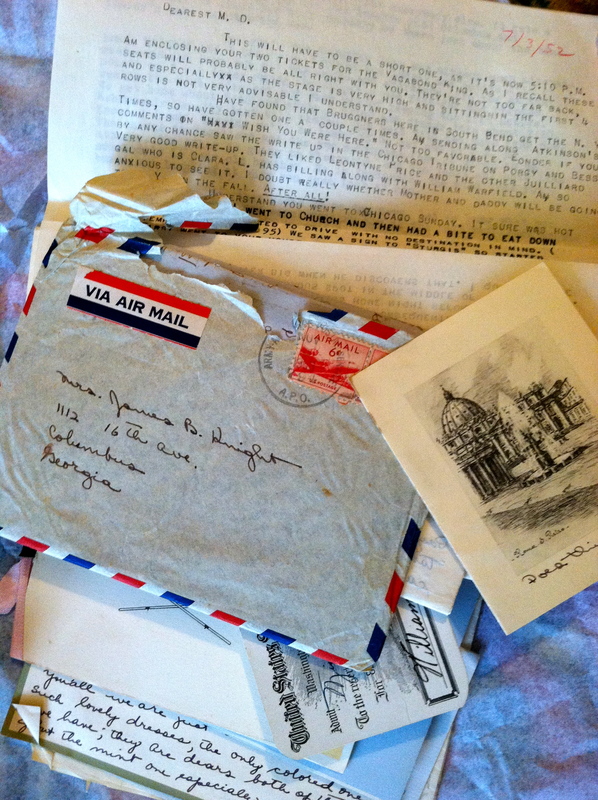 This entry was posted in Capturing Thoughts, Sisterhood and tagged 1950, foreign correspondence, friendship, not teaching handwriting in school, surprise package, typewriter, writing letters by Tracy MacDonald. Bookmark the permalink.